From the bestselling author of Belong to Me, Love Walked In, and Falling Together comes a captivating novel about friendship, family, second chances, and the redemptive power of love. Sometimes it all becomes too much. The mass amount of books sitting on my shelves..and my floor..and my nightstand..and-listen, I have A LOT of books. An accumulation that I'm not entirely sure that I'll be able to get through in my lifetime. But I have them, and I love looking at them, and then I'll pick one up and be reminded, once again, that I love READING them-a fact that is sometimes overlooked when you're too busy COLLECTING books, as opposed to cracking them open. The Precious One was one those books that drives home this very fact: books are life, and the people who write them well are worthy of every praise. 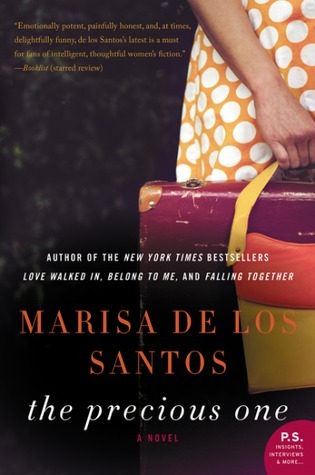 Marisa de los Santos is a master of wit, of charm, and real human emotion. She created character relationships like she was listening in on actual humans, and writing read for word their interaction. She understood intricacies, and one offs, and flaws, and the importance of creating a character SO despicable, that many would keep reading, if only to see if they changed their ways by the end. I wanted this narrative to go on for at least another 200 pages. Told in alternating voices-Taisy, and her younger sister Willow-The Precious One is story of a family. A family story that stands so far outside of the box that I didn't know whether I should sit stock still and read with bated breathe, or yell at the book with ALL of the emotions inside of me. It was more a case of the latter, as de los Santos kept the shock value at a minimum 100 in terms of "worst things a father can say to his child". I kept bringing to mind my childhood, and thanking the powers that be that my father loved me with his whole heart, and still does. Taisy turned out to be the holder of my heart, and was one of the most genuine characters I have every experienced in a narrative. The Precious One wasn't a fly through book, which is to say, you won't be turning pages at a break neck speed, but OH how I guarantee that you will love what you find in here. De los Santos brought to mind dialogue and charm that is reminiscent of Joshilyn Jackson, and Cecelia Ahern. I've already bought every single thing she has ever written! Recommended for Fans of: Contemporary, Drama, Joshilyn Jackson, Cecelia Ahern. Marisa de los Santos was a poet for a very long time, with an MFA from Sarah Lawrence College and a Ph.D. from the University of Houston. Her first book, FROM THE BONES OUT, a collection of poems, was published in 2000.< She and her husband, writer David Teague, lived in Center City, Philadelphia for a number of years before moving to Wilmington, Delaware in spring of 2003. That summer, Marisa began writing what would become her first novel LOVE WALKED IN (Dutton, 2006). LOVE WALKED IN was translated into fourteen languages, was optioned by Paramount pictures, and was a trade paperback bestseller. 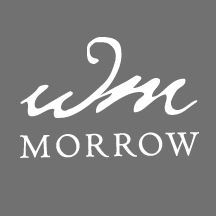 William Morrow published her second novel BELONG TO ME in April 2008, and it was an instant New York Times Bestseller. Marisa, David, and their two children, Charles and Annabel, live in Wilmington, where Marisa takes as many ballet classes as she can, volunteers at her kids' school, and is working on her third novel. Thank-you to Trish at TLCBlogTours, and William Morrow for sending me a print copy to read, and review for this tour! This was one of my favorites this year! Wow! Books like this steal my heart, and like you said, remind me why I love reading.